After the hectic day of the main regatta, a Junior Regatta is held on Sunday. Prizes are awarded at the end of the day. This gives children a chance to compete at various levels and in various different classes. 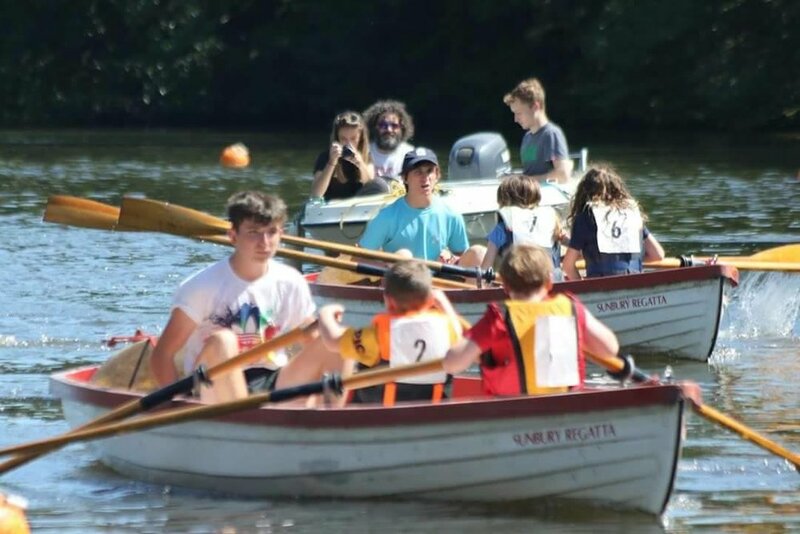 The races are keenly contested, and indeed the support from the banks is often more "vocal" than during the main regatta..
We're always looking for volunteers for the day; help is needed both on and off the river to ensure the day runs smoothly and safely. Please contact us for more details. Starting at 10.30 am and running through to 5.30 pm the main events consist of Singles and Doubles dinghy races, divided into Junior and Senior. 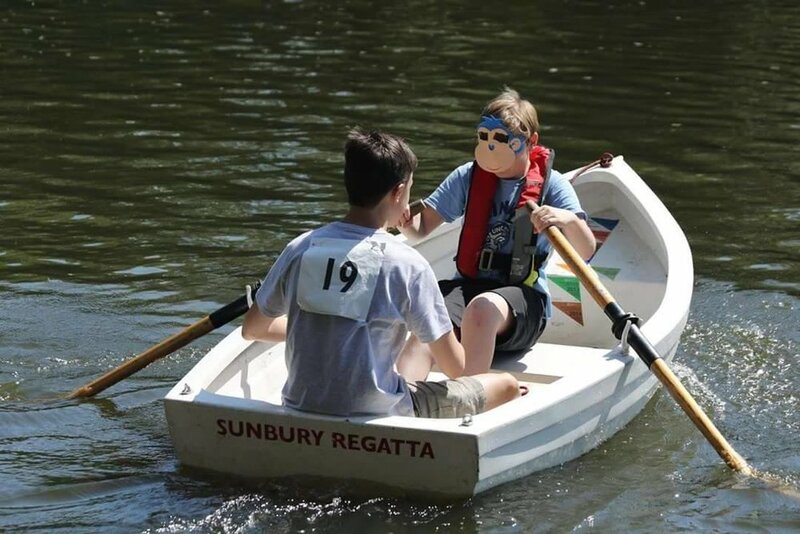 Juniors must be aged between 7 and 12 and Seniors must be aged 12 to 16 on the day of the Regatta. Races are handicapped according to age. Partners for doubles events must be in the same age category, i.e. both Juniors or both Seniors. Prizes are awarded to those coming first and second. Points are also awarded for these events for finalists and semi-finalists which count towards the Junior and Senior Championship Trophies. Children may enter all events for which they qualify, for a single entry fee. The style events, which also count towards the Championship Trophies, are judged during the afternoon’s racing. Style judging is based on general watermanship, behaviour and skill in handling a boat. In addition, there are also Boys and Girls dinghy races. These include both Juniors and Seniors, and are handicapped according to age. Cups and Trophies are awarded for most of the events, and are kept for one year only. The Junior and Senior Champions also receive a plaque which they keep. The obstacle races, and Mothers race are fun events only and are not handicapped. Entries for the Mothers race are taken on the day. We also have a special Cup open only to those competitors who are no longer in certain events after the first round. The Committee reserve the right to determine whether this will be in singles or both singles and doubles events, depending upon the number of entries.